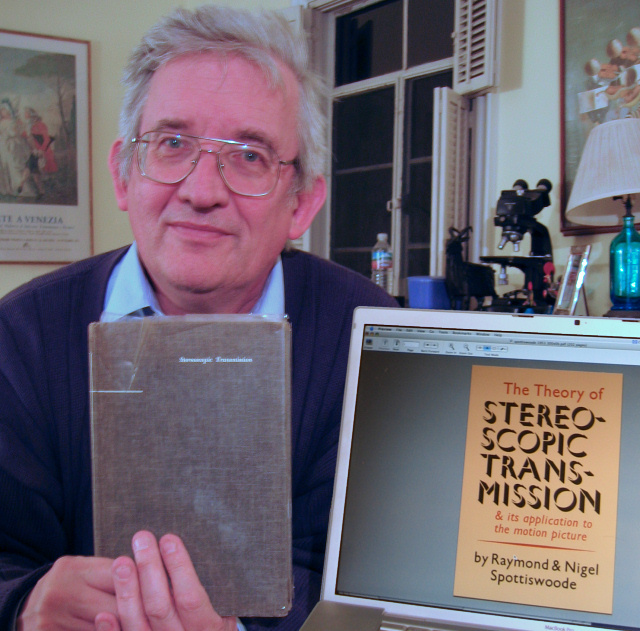 The classic book “The Theory of Stereoscopic Transmission and its application to the motion picture” by Raymond and Nigel Spottiswoode with illustrations by Brian Borthwick, originally published in 1953, but out-of-print for many years, is now available in electronic format and for free for everyone willing to read it. This book is the latest addition to the Stereoscopic Displays and Applications conference Virtual Library, and joins several other pioneering but hard to obtain texts in the field of stereoscopic imaging. By converting classic publications into electronic editions, the SD&A aims to make these volumes easily accessible to stereoscopic researchers once again. “The Theory of Stereoscopic Transmission” provides a theoretical analysis of the three-dimensional geometry of capture and presentation of stereoscopic images as typified by 3D movies, so it is definetly an interesting read as the 3D basics are still the same as they were may years ago. Titles of chapters in the book include: Stereoscopic Depth Range, The Stereoscopic Window, Stereoscopic Calculators, Cameras with Variable Separation and Convergence, Projection, The Human Factor in Stereoscopic Transmission, and much more. An errata list is provided at the end of the book. Also included is an 8 page anaglyph 3D insert “Stereoscopic Diagrams” by Brian Borthwick and Jack Coote which illustrates some of the concepts in the book in 3D. 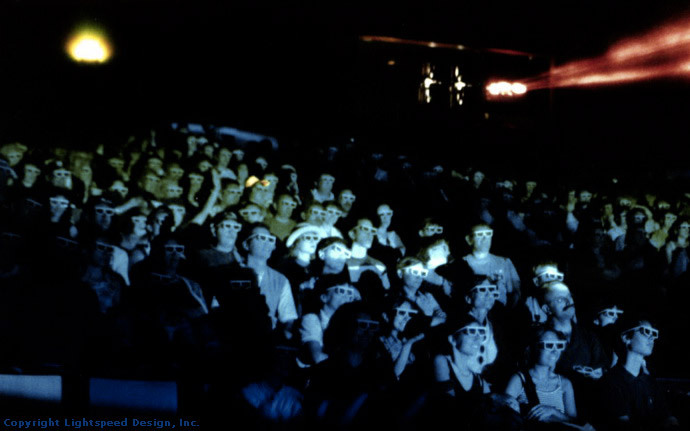 Buying and bringing your own personal (BYO) 3D glasses with you when going to a 3D movie projection is already something that quite a few people prefer doing, especially considering some of the side effects of the reusable 3D glasses you usually get in the theater. The reusable 3D glasses in movie theaters are usually being washed in between projections in order to have them cleaned, but how many times you’ve seen the lenses of these glasses scratched or smudged with some cleaning fluid or whatever? You usually have to carefully wipe them out yourself before using them, that is unless you carry your own personal pair of 3D glasses that you can take out and enjoy the movie. There are also some movie theaters that hand out what appears to be packed single-use pairs of glasses that get proper treatment before being repacked and distributed for the next projection… this is usually a better and more problem free solution for the audience, but is probably also more expensive. But you know, getting 3D glasses for a 3D movie projection is something you’d normally expect to get as a service from the movie theater, so should you also not expect to get a discount from the ticket when you BYO 3D glasses? This is one of the options and movie theaters could also start offering different brands of compatible 3D glasses with the type of projection system they are using. And this way they can even further increase their profit by offering different types of personal 3D glasses and in different price ranges, so that you will know when you spent some money for a personal pair of glasses you would then get a discount from the 3D movie tickets.